The only truly free time tracker for agencies. Track billable hours and calculate project profitability based on your hourly rates. Employees can track time using an online timer, or enter how much they’ve worked manually. You can maximize your revenue and bill clients for every work minute by making sure you log every call, e-mail, and meeting. Create tasks and assign people to them so they can track time against them. 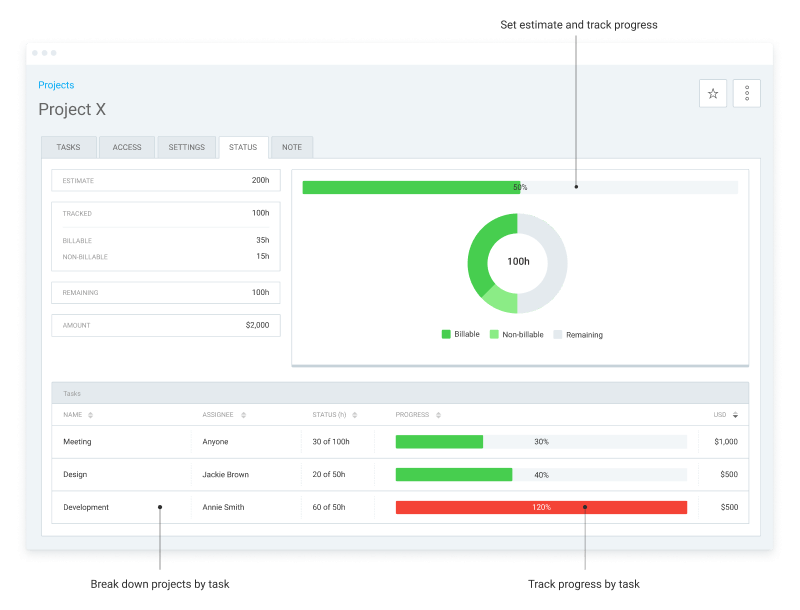 Estimate how long each task should take and visually check progress. 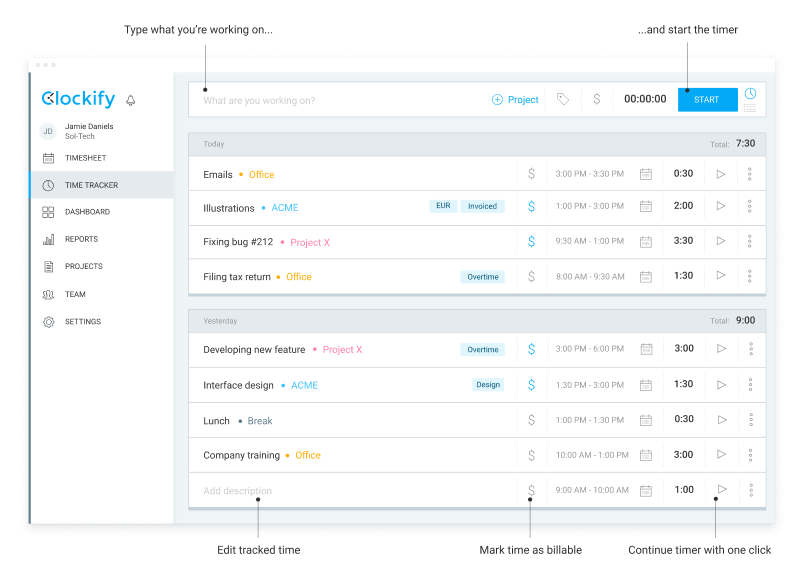 If a project goes over budget, Clockify can send you an alert. 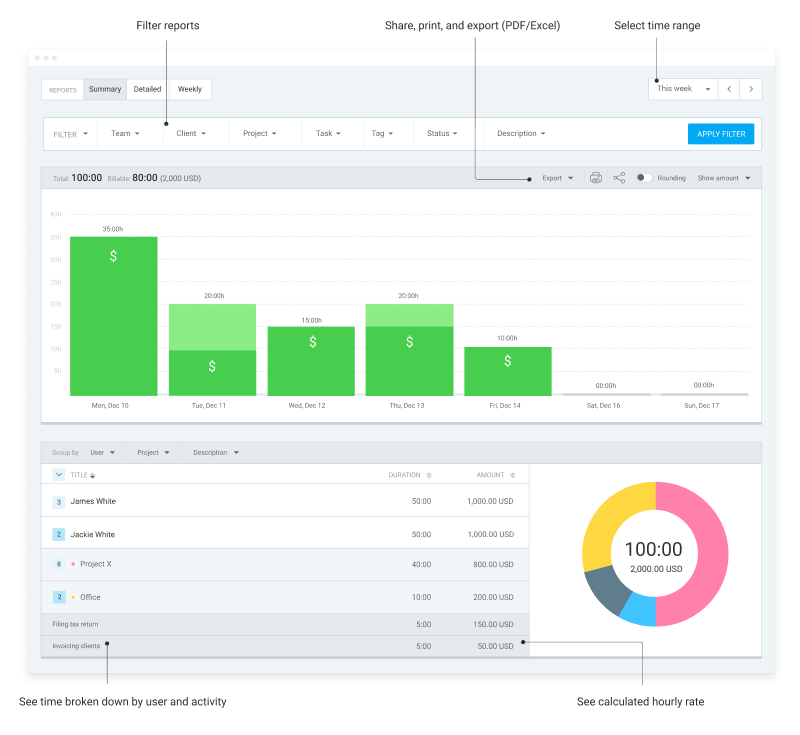 Reports break down all the tracked time and group it by project and client. There you can see how much of the tracked time is billable, plus see how much you've earned that week or month based on your hourly rates. You can also export data or share a link with your client.